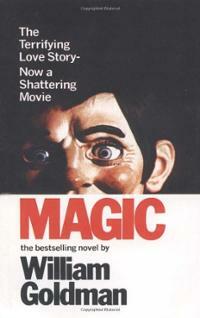 When the sad news of Richard Attenborough’s death was announced, I’d just started reading William Goldman’s Magic. Adapted for the screen in 1979, Magic proved to be an obscure footnote in Attenborough’s directing career, wedged into the cracks of a CV crammed with sumptuous epics such as Gandhi, A Bridge Too Far and Cry Freedom. I remember some random images from the movie – mostly of the ventriloquist doll Fats, with those bulging dummy eyes, red cheeks and neat centre parting. Anthony Hopkins played the deranged protagonist a full decade before he was launched to stardom thanks to some similar onscreen lunacy. At the time, William Goldman, the writer of Magic, both the book and the movie, was one of the first screenwriters to stick his head above the parapet. 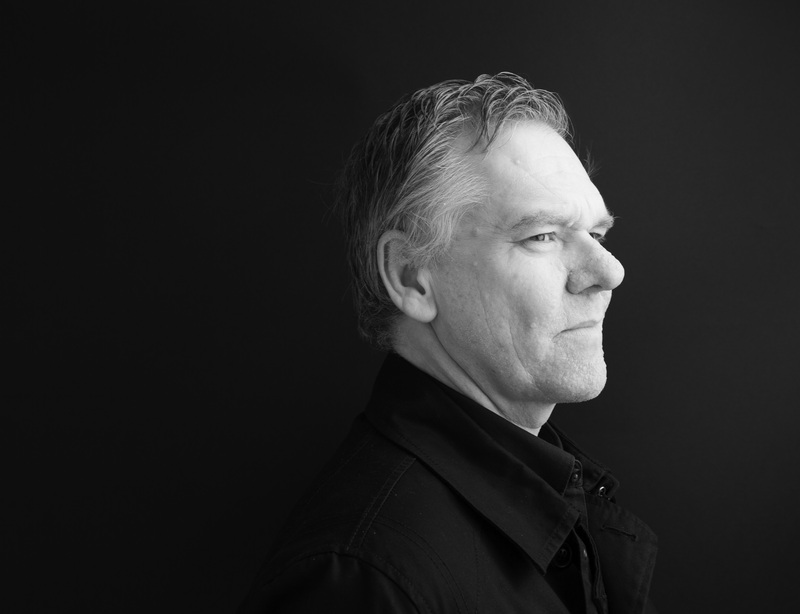 His non-fiction memoir/writing manual Adventures In The Screen Trade was an unlikely bestseller – and remains still one of the best books about the business. This was the guy who wrote Butch and Sundance, All The President’s Men and Harper for the screen – and many others. But I remember as a kid being absolutely blown away by the first shocking chapter of his novel Control – a thriller which is, mind-bogglingly, out of print these days. He also adapted his own novels Marathon Man and, of course, The Princess Bride. Corky is a talented but failed magician, whose career only takes off when he incorporates a dummy called Fats into his act. When he’s offered a TV show, Corky goes on the lam, frightened that executives will discover that it’s Fats who increasingly calls the shots in Corky’s head. He heads back to the Catskills where he meets his old childhood crush Peggy Ann. Throw in Corky’s wizened agent and Peggy Ann’s oafish husband, and things start to get murderous in the woods as Fats’s true nature is revealed. As you can tell, Magic is a book which is very much in the Psycho mould, a claustrophobic chamber-piece. It takes a couple of chapters to warm up, but when it does it really delivers as a portrait of a damaged personality. Despite his, er, homicidal issues (and some hints that he’s got previous in this area) Corky is a hugely empathetic character in the George Harvey Bone mould. Fats gives Corky confidence, he gives him a voice, and he give him an act with which to present his beloved Magic. But one part of Corky’s brain is increasingly fighting a disastrous rearguard action against the other half. We root for Corky to pull himself together and yearn for him to find happiness with his lost love even as we know that the worst is yet to come. If this book was written now, or filmed as a movie, the chances are, the publisher would want more shocks, more out-and-out horror moments, but like all the best horrors, Magic is absolutely rooted in character. And the biggest character of them all is Fats, a malevolent little guy with tiny wooden legs. His voice, charismatic and sarcastic, rings fully-formed in your head as you read. This entry was posted in Books, Horror, Reviews and tagged A Bridge Too Far, Adventures In The Screen Trade, All The President's Men, Control, Cry Freedom, Gandhi, George Harvey Bone, Harper, Ira Levin, Magic, Marathon Man, Psycho, Richard Attenborough, The Princess Bride, William Goldman on October 3, 2014 by Crime Thriller Fella. Sometimes you can flip along the titles on your kindle and have no idea how some of those books got there. 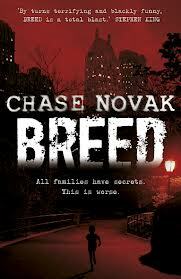 Breed, by Chase Novak, was one of those for me. I suspect I was elated by rereading Ira Levin’s seminal New York horror Rosemary’s Baby and wanted more of the same. One button-press later it was on my device and I immediately forgot about it. But this week, looking for something different, I stumbled upon Breed, prodded it open and began to read. Breed is a clever little book – too clever, perhaps – an urban fairytale about those most-ferocious of creatures, Manhattan pushy parents. Alex and Leslie Twisden enjoy a life of wealth and privilege. He’s a partner in a top law firm and she’s in publishing, and they live in a big townhouse by the park. But, try as they might, they can’t have kids. Their obsession leads them to Slovenia and the unethical practice of Dr Slobodan Kis, whose painful treatment involves injecting them both with all manner of animal hormones, including those of the Gobi fish, which has a tendency to eat its young. By the time Alex and Leslie get back to their hotel room, they’re already beginning to become more animalistic. Ten years later, jobs gone, their splendid home gone to seed – and with keening noises coming from the basement – Alex and Leslie struggle to hold on to the last vestiges of their humanity. Every night, they lock their children in their rooms so that they can’t eat them. Adam and Alice have had enough of this and go on the run, where they meet a pack of kids who also live in fear of their parents. I liked the prose in Breed very much. Novak is a classy writer, there’s no doubt about that, and has plenty of satirical fun with the Freudian conceit. The imagery is good – Central Park is packed with feral boys and girls hiding from their dangerous parents – and there are some genuine thrills in the extended chase sequence that powers the middle section of the book. But the horror in Breed isn’t quite on point. There are one or two narrative twists that make you blink in surprise, but Novak ensures we pity, and even like, the monstrous Alex and Leslie, who never quite live up to their cannibalistic marquee billing. The parents are so self-aware about their own degradation, so forlorn about their lack of humanity, and in a funny way to boot, that the menace is undermined somewhat. There’s little doubt that their escaped kids Adam and Alice will be eaten. And when you sympathise with the antagonists, the danger, the horror of the situation, slips away. Saying that, Breed is an enjoyable ride, full of sly humour and clever observation. And the characters are enjoyable. Alex and Leslie, both before and after their transformation – are a real treat. With its upper west side setting, it’s bound to draw comparison with Rosemary’s Baby – hell, I’ve already done it – and any horror book is going to come off poorly in that regard. It turns out that Chase Novak is a pseudonym of Scott Spencer, a well-regarded literary novelist who wrote, among other books, Endless Love – congratulations, now you’ve got that song going round your head. The word is that Novak is working on another horror, Brood. 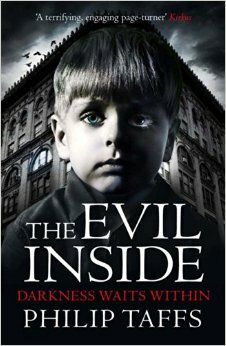 This entry was posted in Books, Horror, Reviews and tagged Breed, Brood, Chase Novak, Ira Levin, Rosemary's Baby on January 24, 2014 by Crime Thriller Fella.